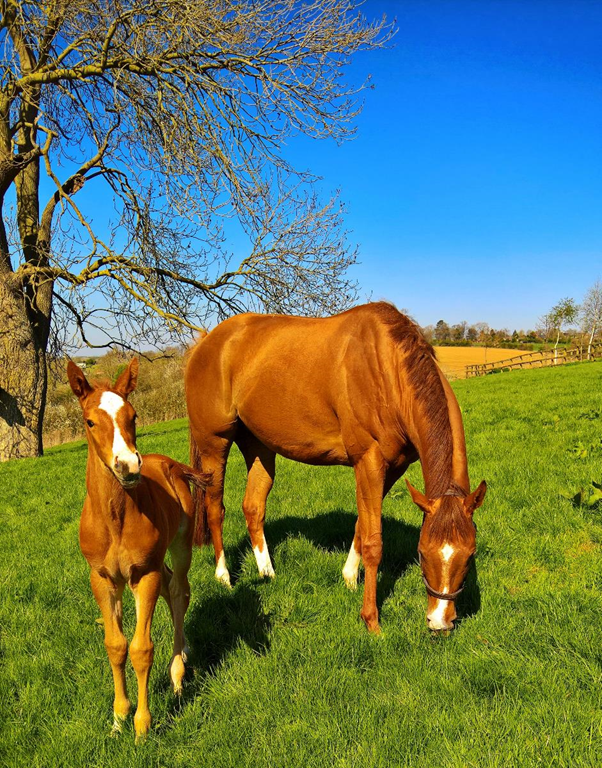 With 2019 in full swing and the foaling season well under way it feels like Spring is back in the air. The mares on the farm have been very slow to give birth this year and for no apparent reason which I find extremely frustrating. Probably because the excitement builds as the due date comes close and then nothing arrives. When you wait eleven months every day over feels like an eternity. Our new foaling manager Kate Leatherbarrow is nearly half way through foaling with seven foals on the ground. We are also lucky to have Rachel Gray who is on night watch whilst studying for a degree in mechanical engineering. Apparently it is much easier to study at night! So other than Rachel there is a lot more sleep going round compared to last year! We have five fillies and two colts on the ground so far. I know this trend is probably going to continue as I bought several mares at the sales so I suspect there will be several more fillies on the way! People say fillies can be tricker to work with but in my opinion you cant beat a bit of girl power. Just ask us nicely and treat us like princesses, simple really! One of those fillies has already had her tv moment when Sky Sports Racing came and made a programme which featured her birth. Now aptly named ‘Sky’ she kept us all waiting for several days. Normally this wouldn’t be a problem but when you have to schedule camera men, edit rooms and programme airing there was added pressure and anticipation. Hopefully all being well we will follow ‘Sky’ through her formative years and beyond and give people at home the change to experience journey of her life. You can watch the film by clicking on the link below. The Breeze up Sales got under way at Ascot and I took a trip down to support my first home bred colt, ‘Bruno’ who was being sold by Hyde Park Stud. All that trotting up the gallops paid off for Bruno who breezed the 12th fastest time and was bought by Middleham Park Racing. He is going to be trained by Keith Dalgleish in sunny Scotland. 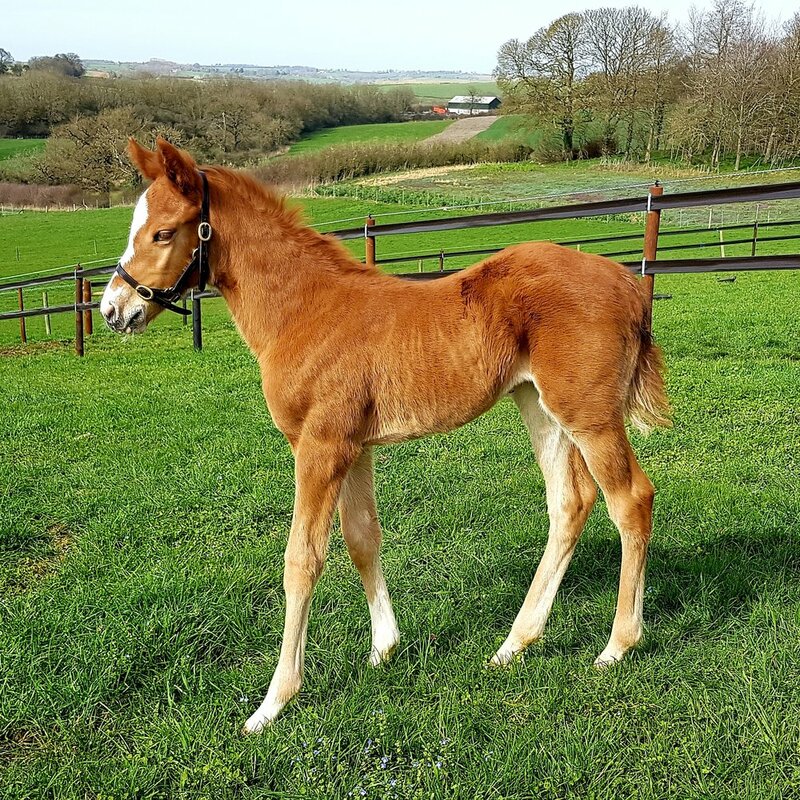 Hopefully he will become a winner for his mother Lolamotion who has a yearling by Tweenhills stallion Havana Gold and is visiting Pearl Secret at Chapel Stud this year. Bruno always took life in his stride so we are hopeful he will go on to be a success for his new owners. With the Grand National in the press PETA and other similar organisations seem to be back on the cruelty to racehorses bandwagon. It is dis-hearting for all the people who put in effort and care on a daily basis for these horses. There seems to be a real lack of understanding that a life has to be nurtured and cared for to get a horse to the stage where it can even reach the racetrack let alone be a top performer. Education is an important part of this understanding and Michael Owen featured in a very good film where he compared the horses to himself as a professional athlete and showed the surroundings in which they live and are cared for. At the same time it is important for the racing industry not to rest of their laurels and realise that we always have to be questioning what we do and how we do it, especially when it comes to the welfare of the horse.